Democrat Williams campaigning as independent Lt. Gov. Democratic Lt. Gov. 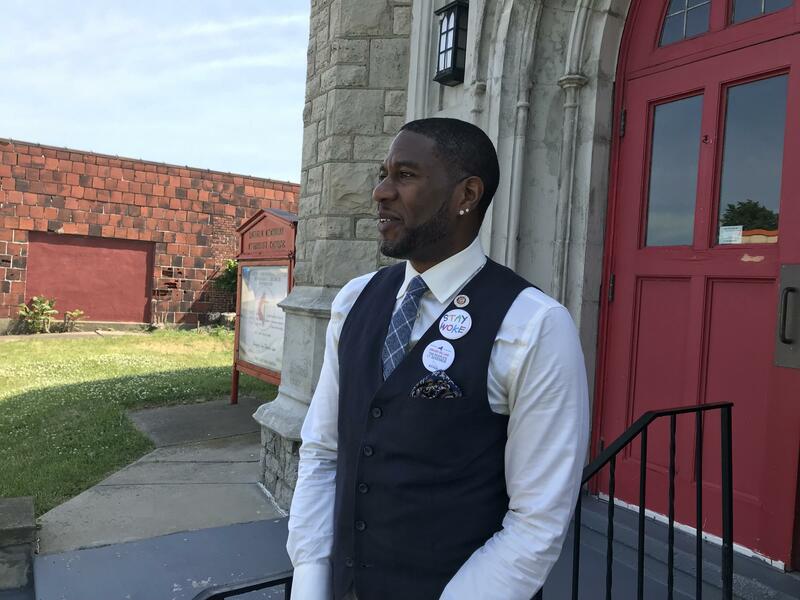 candidate Jumaane Williams used this weekend to do some campaigning in Western New York. The Brooklyn Councilmember is challenging current incumbent Kathy Hochul, saying he will be an independent advocate for all New Yorkers. WBFO caught up with Williams at Lincoln Memorial United Methodist Church on Buffalo's East Side. Williams said the issues and problems remain the same, whether Upstate or Downstate. Democratic Lt. Gov. candidate Jumaane Williams campaigning in Buffalo this weekend. "I am campaigning for equity," Williams said, "that hasn't funded schools throughout New York, whether it's housing that is the issue for folks - one place homelessness is up, another place it's abandonment issues, another place people think they're paying too much for housing - jobs is one that permeates throughout the entire state, and it's unfortunate." Williams said he has "a different vision" for the lieutenant governor position than just "cutting ribbons and repeating what the governor says." Williams said Albany is missing a lieutenant who is willing to "step up and step out" when the governor's policies need to be challenged. "One thing that I've worked on is gun violence. In New York City we've been doing a tremendous amount of work and it's going down, but in the rest of the state, it hasn't," he said. "The governor, I've found, hasn't provided leadership on any of these issues, he's provided followship. When leadership doesn't happen, we should have someone, I believe, who can push in the lieutenant governor's office." Williams sees the lieutenant position similar to New York City's Public Advocate, who serves as a watchdog for residents over government agencies. He fully expects Cuomo and Hochul to raise much more money for their election campaign, but said "money doesn't always win elections."